The City, along with Clackamas County, is sponsoring the Pillowcase Project. Drop by City Hall and pick up a beautiful, hand-made pillowcase. Then fill it with basic-needs items and perhaps a gift or two. Then return it to City Hall by December 14th. 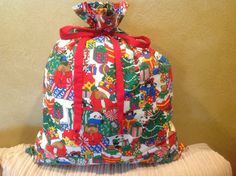 The filled pillowcases will be distributed to the needy throughout Clackamas County, including here in Lake Oswego. The pillowcase concept is such a good one because long after the gifts and toiletries have been used and enjoyed, the pillowcase will continue to be used and to remind the recipient of good memories. 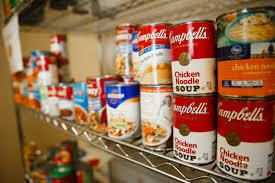 Oregon Food Pantries is doing a food drive. This project has a history of feeding nearly 250,000 Oregonians, including over 100,000 children. Non-perishable food can be dropped off a City hall, the Main Fire Station (300 B Ave) or the Library throughout November and December. The Lake Oswego Fire Department is doing a Toy Drive. Bring new, unwrapped toys to the Main Fire Station (300 B Ave), or the Library (706 Fourth St) between now and December 14th. Toys will be distributed by the Tualatin Valley Elks Lodge to families throughout the local area. Finally, coats, blankets, and gloves are being collected by the City to help those in need. Hope Sparrow Services will distribute the clothing throughout the winter. Children’s items are needed as well as for adults. They don’t have to be brand new. Lightly used and clean are welcome. Take your donation to the South entrance of City Hall any time in November, December, and January. I think there’s a direct connection to our personal happiness and mental well being that is improved when we help others. Thank you for being involved. Happy Thanksgiving!